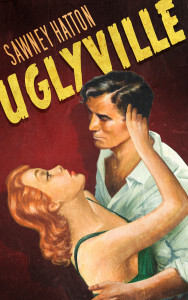 Here’s where you’ll find the latest news, reviews, and other miscellany about my True Crime-inspired Young Adult novella UGLYVILLE. When the 15-year-old misfit sees the strikingly handsome garbageman outside her bedroom window, it’s love at first sight. But love doesn’t always look back the same way. That won’t stop Verona from winning his heart… at any cost. Sometimes people get used. Sometimes people get hurt. Sometimes people die. UGLYVILLE is a story of dark deeds and pathological passion, about how far this fille fatale will go to have her Hollywood ending.